A battle has begun on 'The Walking Dead' - trendistic.com: ever tried. ever failed. no matter. try again. fail again. fail better. 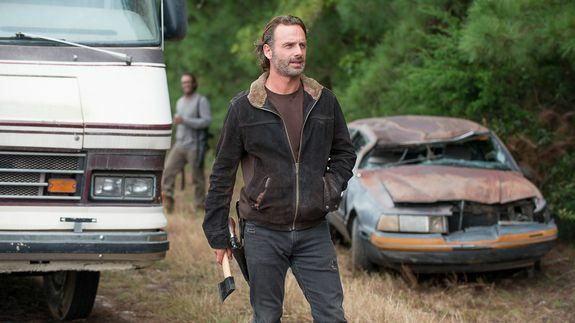 WARNING: This post contains spoilers from the latest episode of The Walking Dead. Count me among those who thought this week’s episode of The Walking Dead was going to be one where the entire group sits around talking about action but not really doing anything. I was wrong. There were cookies, zombies, some strangely elegant stabbings, gun battles, and even a juicy cliffhanger that probably left you uncomfortably angry at a pregnant lady.